We need our supporters to tell us when there is an issue on a route or even better, when a route is really great and sould be enjoyed by more riders. We will update our Facebook pages with the routes you recommend. In the first instance for any problems always report directly to Wiltshire Council via their on-line Path Report Form. The county council have the staff & resources (although limited) to act upon your reports. 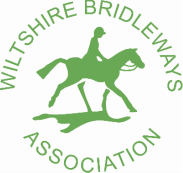 The volunteers at Wiltshire Bridleways Association will actively pursue the report when they are also informed about the issue. Please also inform us using the form below so that we can also monitor your report and step in where required to ensure action is being taken. If your report is regarding a recent weather related issue such as a tree fallen across a bridleway or water channel erosion or overgrown routes, always report directly to your local parish council who, where it is not their responsibility, can contact the landowner to arrange removal and also inform Wiltshire Council.